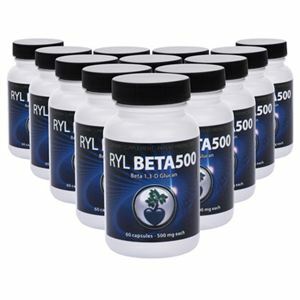 RYL Beta500 (Beta 1,3-D Glucan) Low cost, high value immune support. These 500mg capsules provide a dose THAT research has shown to be the most effective when the immune response requires significantly MORE support. Provides many benefits to improve immune cell function. 12 – 60 capsule bottles.